We are excited to bring you the first edition of “Did You Know” where we will provide on-going, in depth explanations of common questions and interesting topics related to the work and accomplishments of Hands4Uganda (H4U) at Rock of Ages School (ROA) in Mbiko, Uganda. As the primary mission of H4U is to support the education of the children at ROA, in this first issue we offer information that will provide a better understanding of the educational structure of Uganda. In spite of the similarities between the Ugandan education system and that of the U.S., there are many differences worth noting. As members, sponsors, and supporters our goal is to help you gain an understanding of what is required of our students in order for them to be successful. Here we hope to share with you the impact that you are making by partnering with H4U and enabling the children of Mbiko to attend ROA. ROA students generally begin their school day at 7 a.m. and conclude at 1 p.m., 4:30 p.m., or 8 p.m. depending on their grade level. Unlike most elementary schools in the U.S which operate on a 10-month calendar with a summer break, schools in Uganda, including ROA, are managed on an 11-month calendar beginning in February and concluding in December. The Ugandan school year is divided into three terms with roughly a month long break between each term. Unlike the U.S. however, Ugandan classes are not based on age and you will often times find classes with students who range significantly in age. This is due to the fact that children often drop out and re-enter school based on whether or not their families can afford to pay the school fees. ROA primary classes begin with Primary 1 (first grade) and continue through Primary 7 (seventh grade). At the end of Primary 7 all Ugandan students must take their first national test called the Primary Leaving Exam (PLE). This is a high stakes test with the outcome determining which secondary programs the students will be able to apply to. The PLE tests four subjects including English language, mathematics, social studies, and science. Results are divided into four divisions with Division 1 being the best possible distinction whereby the student is eligible to apply to most any secondary school they choose. We are very proud to announce that all P7 students graduating from ROA have scored in Division 1 and Division 2! Secondary school in Uganda is six years and is divided into two sections – O-Level and A-Level. O-Level includes years Senior 1-4. At the end of Senior 4 students must take a second national exam called the Uganda Certificate of Education (UCE). If students pass this exam they are eligible to continue to A-Level which makes up Senior 5-6. At the end of their secondary career students take a final national exam called the Uganda Advanced Certificate of Education (UACE). Students who pass the UACE are then eligible to apply to university where they can further their education and earn a degree, certificate, or diploma. Alternatively to the six year O-Level and A-Level program, students may begin their secondary education at a technical school which generally lasts three years and continue their studies at a specialized technical institute. These institutes generally offer certificates in areas such as teaching, engineering, and other technical specialities. Most secondary schools are boarding schools, requiring students to bring all of their personal supplies including mattresses, eating utensils, etc. creating a substantial burden on low income families who often have one mattress within their entire household. If a student is not in possession of all required scholastic and personal items by the first day of school, they are not allowed to begin classes. 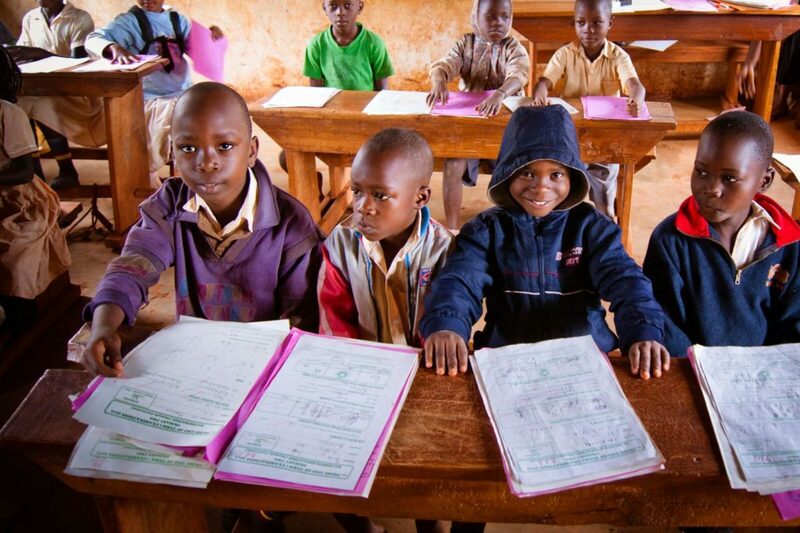 In 1997 Universal Primary Education (UPE) was introduced by the Ugandan government as a means of providing education to all children free of charge in order to reduce poverty and boost human development. In the early years of the UPE movement there was a substantial influx of students attending Primary School requiring a significant increase in government spending in order for new schools to be built, teachers to be hired, and other scholastic materials to be purchased. Such an expansion in the number of students attending school without the proper infrastructure to support them quickly led to a steep decline in education quality including student- teacher ratios, student-textbook ratios, and student-classroom ratios. Classrooms holding as many as 90 students, shared textbooks, teacher shortages, classroom congestion and a lack of resources quickly led to low educational performance and high dropout rates. Of the resources available for Ugandan education, most are allocated to urban schools, discounting nearly 83% of the population which reside in rural areas. Following the UPE implementation national studies concluded that despite massive amounts of government funding, only 35% of all money given to schools actually reached the intended beneficiaries. In addition, “free of charge” still meant that families were responsible for scholastic materials including notebooks, writing utensils, uniforms, and lunches. With nearly 40% of the population living on less than $1.25 USD per day an education was and still is unattainable. With only 53% of students beginning Primary 1 and finishing Primary 7 most children in Uganda do not obtain a full education. Dropout rates have remained high for many reasons. Aside from cost, many students report that they do not return to school because they are simply not interested in continuing. This suggests that they are not stimulated nor inspired by their learning, most likely due to high student/teacher ratios and the inability of students to receive the attention they need to succeed. Teacher absenteeism is a major factor in disinterest of students and could account for the fact that in government schools, studies have shown that over half of the students enrolled in P6 can neither count nor write complete sentences. In many areas children are often kept at home to help take care of younger siblings or to do daily chores as parents focus on work and the hard labor required for survival. Absenteeism is highly correlated with the agricultural sector as children are expected to help seed and harvest gardens and crops as well as help on market days with selling and buying. In addition to labor, other common barriers that complicate a Primary education include the need for certain grade levels to be repeated. A lack of access to proper sanitation, especially for young girls beginning menstruation, keep students home and out of the classroom. Then there are also the very real issues of early pregnancy and childhood marriage which mostly impacts female student attendance. 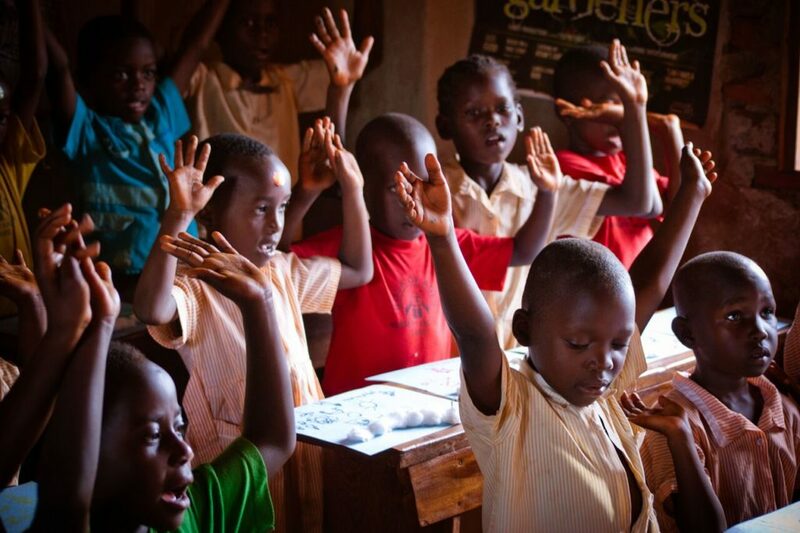 ROA strives to break down barriers and provide a quality education for the children of Mbiko. H4U strives to to ensure that all students attending ROA complete their education and are not only able to move on to secondary school but also thrive there. While we do see students leave ROA for various reasons, we try our very best to understand each situation and help return the child to school as soon as possible. Through the H4U sponsorship program, children are able to attend ROA free of charge, eliminating the main cause for children not attending. The student to teacher ratio at ROA remains low with an average of 1 teacher to every 30 students so that students are able to receive the attention they need. Due to our student and teacher commitment to education we have seen a 100% pass rate for all students who have taken the PLE at the end of their P7 year with all scoring in the top two division showing that ROA students are ready to succeed throughout their higher education. The staff at ROA requires parents to meet with administrators and teachers regularly. With parents who have a vested interest in their child’s education, they better understand the importance of regular attendance and absenteeism therefore declines. Children are also fed at school, ensuring that families do not need to worry about providing school lunches and students are able to focus on learning rather than the pains of hunger. Keeping female students in school has been a high priority for ROA. Partnering with Days for Girls (www.daysforgirls.org), H4U has been able to provide every female student with reusable menstrual pads and an education about what menstruation means for them and their changing bodies which is not a common conversation in most schools. Through the normalization of the topic and provision of proper hygienic supplies as well as facilities, our girls no longer miss school due to their periods. In fact, 12 out of the 18 students that made up the 2017 graduating class at ROA were girls. We are very pleased, that H4U has been able to fund the continued education of all ROA graduating students into secondary school and we are working on a program to ensure their successful completion without having to worry about the associated fees. We strongly believe that education is the foundation of a better future for the children of Mbiko, and we are so glad that you are a part of our continued success. If you have questions or would like to see a specific topic addressed in one of our issues please let us know at the bottom of this page!